Samuel G. Freedman has delivered an extremely interesting re-creation of the life of his late mother in New York. This was around the late 1930s and he takes us through her young life and her growing up. She was very intelligent, Jewish, and this was during WWII and the Holocaust. There are depictions of her school life, meeting boys, her lofty (for those times) ambitions, the expectations, and her everyday life in a confused world. This is Freedman's tribute to his late mother, who had remained a mystery to him (not her doing), and who later, at the age of fifty, died of breast cancer. 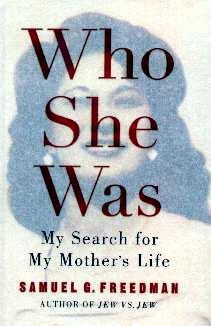 Her son, guilt-ridden, embarked on finding out about the life she had led and how she became the woman she was. His attention to detail and descriptive prose invites the reader right into young Eleanor's home, her school, her friends, the inequality towards women, and the beginnings of America's entrance to the War. Eleanor's mother came from Bialystok, Poland, like many other Jewish people fleeing Europe, and settled in New York to make a new life. A touching account of a mother Sam Freedman didn't really know. He made the effort - he went all out to get to know her. His explanation at the end of the book is quite touching. Visit Mr. Freedman at his website for more information. Conclusion - Moving and uplifting. 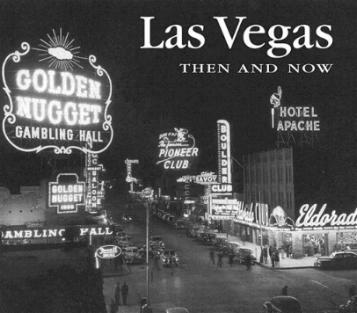 LAS VEGAS Then And Now may be purchased and/or ordered through your local bookstore.